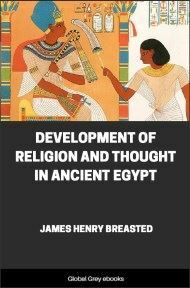 In this book, Breasted details the evolution of religious belief through thousands of years of Egyptian history. 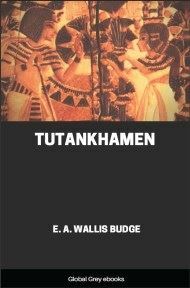 He describes (and quotes extensively from) the great funerary texts, most importantly the Pyramid texts, as well as the Coffin texts and the Book of the Dead. He covers the history of Egyptian religion from the earliest Osiran beliefs up to the groundbreaking monotheism of Akhenaton. 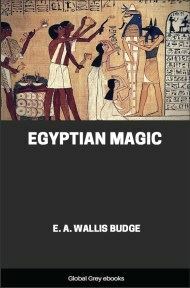 This book is a must-read for anyone interested in Ancient Egyptian religion. 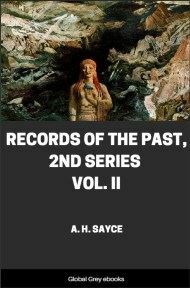 The recovery of the history of the nearer Orient in the decipherment of Egyptian hieroglyphic and Babylonian cuneiform brought with it many unexpected revelations, but none more impressive than the length of the development disclosed. In Babylonia, however, the constant influx of foreign population resulted in frequent and violent interruption of the development of civilization. In Egypt, on the other hand, the isolation of the lower Nile valley permitted a development never seriously arrested by permanent immigrations for over three thousand years. We find here an opportunity like that which the zoologist is constantly seeking in what he calls "unbroken series," such as that of the horse developing in several millions of years from a creature little larger than a rabbit to our modern domestic horse. 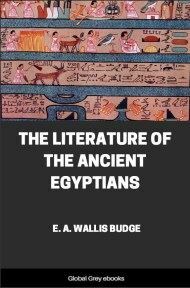 In all the categories of human life: language, arts, government, society, thought, religion—what you please—we may trace a development in Egypt essentially undisturbed by outside forces, for a period far surpassing in length any such development elsewhere preserved to us; and it is a matter of not a little interest to observe what humankind becomes in the course of five thousand years in such an Island of the Blest as Egypt; to follow him from the flint knife and stone hammer in less than two thousand years to the copper chisel and the amazing extent and accuracy of the Great Pyramid masonry; from the wattle-hut to the sumptuous palace, gorgeous with glazed tile, rich tapestries, and incrusted with gold; to follow all the golden threads of his many-sided life, as it was interwoven at last into a rich and noble fabric of civilization. In these lectures we are to follow but one of these many threads, as its complicated involutions wind hither and thither throughout the whole fabric. There is no force in the life of ancient man the influence of which so pervades all his activities as does that of the religious faculty. It is at first but an endeavor in vague and childish fancies to explain and to control the world about him; its fears become his hourly master, its hopes are his constant mentor, its feasts are his calendar, and its outward usages are to a large extent the education and the motive toward the evolution of art, literature, and science. Life not only touches religion at every point, but life, thought, and religion are inextricably interfused in an intricate complex of impressions from without and forces from within. How the world about him and the world within him successively wrought and fashioned the religion of the Egyptian for three thousand years is the theme of these studies. As among all other early peoples, it was in his natural surroundings that the Egyptian first saw his gods. The trees and springs, the stones and hill-tops, the birds and beasts, were creatures like himself, or possessed of strange and uncanny powers of which he was not master. Nature thus makes the earliest impression upon the religious faculty, the visible world is first explained in terms of religious forces, and the earliest gods are the controlling forces of the material world. A social or political realm, or a domain of the spirit where the gods shall be supreme, is not yet perceived. Such divinities as these were local, each known only to the dwellers in a given locality. As the prehistoric principalities, after many centuries of internal conflict, coalesced to form a united state, the first great national organization of men in history (about 3400 B.C. ), this imposing fabric of the state made a profound impression upon religion, and the forms of the state began to pass over into the world of the gods. At the same time the voices within made themselves heard, and moral values were discerned for the first time. Man's organized power without and the power of the moral imperative within were thus both early forces in shaping Egyptian religion. The moral mandate, indeed, was felt earlier in Egypt than anywhere else. With the development of provincial society in the Feudal Age there ensued a ferment of social forces, and the demand for social justice early found expression in the conception of a gracious and paternal kingship, maintaining high ideals of social equity. The world of the gods, continuing in sensitive touch with the political conditions of the nation, at once felt this influence, and through the idealized kingship social justice passed over into the character of the state god, enriching the ethical qualities which in some degree had for probably a thousand years been imputed to him. Thus far all was national. As the arena of thought and action widened from national limits to a world of imperial scope, when the Egyptian state expanded to embrace contiguous Asia and Africa, the forces of imperial power consistently reacted upon the thought and religion of the empire. The national religion was forcibly supplanted by a non-national, universal faith, and for the first time in history monotheism dawned. Unlike the social developments of the Feudal Age, this movement was exclusively political, artificial, and imposed upon the people by official pressure from above. The monotheistic movement also failed for lack of nationalism. The Mediterranean world was not yet ripe for a world-religion. In the reversion to the old national gods, much of the humane content of the monotheistic teaching survived, and may be recognized in ideas which gained wide currency among the people. In this process of popularization, the last great development in Egyptian religion took place (1300–1100 B.C. ), a development toward deep personal confidence in the goodness and paternal solicitude of God, resulting in a relation of spiritual communion with him. This earliest known age of personal piety in a deep spiritual sense degenerated under the influence of sacerdotalism into the exaggerated religiosity of Græco-Roman days in Egypt.